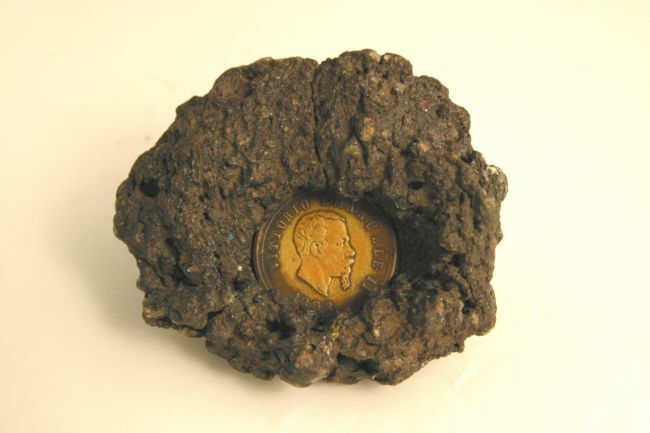 This piece of lava has an old coin from Italy stuck in it. What type of rock do you think lava might be? Read the rest of this resource to find out!